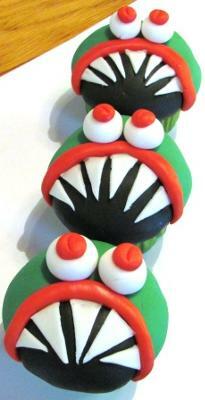 Want some Halloween cupcake ideas? Made with fondant. Don't let that scare you! Children love this activity! Join in and write your own page! It's easy to do. How? Simply click here to return to Halloween Cupcakes.